The gentle evaporation of the springwater gives rise to a salt that is naturally white, without the need for any additives. Every salt forms crystals of a specific shape, depending on how it has been obtained. 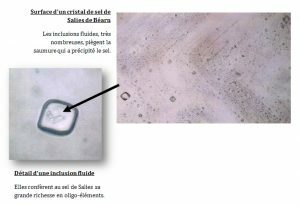 The crystals at Salies-de-Béarn are hollow and pyramidal, more or less intact or sometimes stuck together. 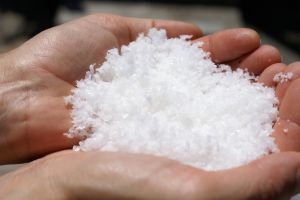 The unique quality of Salies-de-Béarn Salt is its trapped pockets of fluid. They arise from the irregular distribution of the chlorine and sodium crystals when the salt crystalises. This is what gives rise to its richness in trace elements. It is for this reason that, in addition to sodium chloride, Salies-de-Béarn Salt contains so many minerals and trace elements. These are indispensable for the proper working of our body. This richness in mineral salts and trace elements gives the Salies-de-Béarn Salt its exceptional nutritional qualities. The entirely natural extraction method preserves all the mineral wealth of the spring water. What is more, Salies-de-Béarn Salt contains abundant bacteria populations, known as halophiles, which thrive in extremely salty conditions. 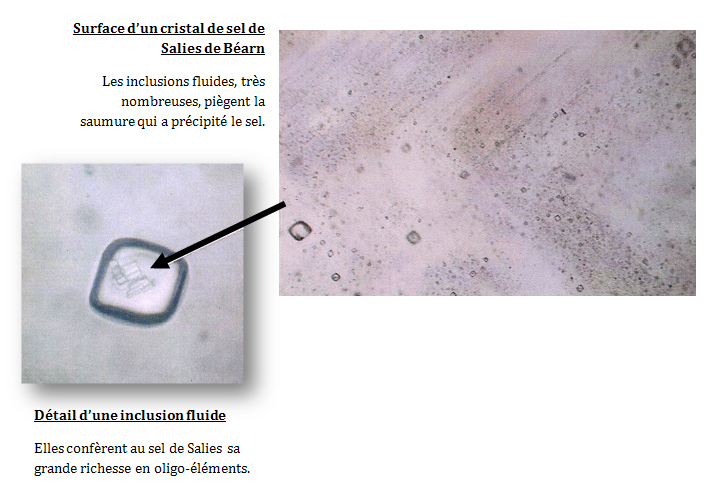 These bacteria are present in the fluid inclusions within the salt, giving a unique flavour to Salies-de-Béarn Salt. This halophile bacteria are not found anywhere else in the world. 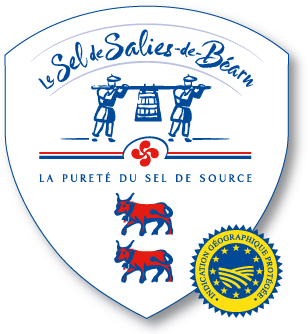 They are at the heart of the nutritional qualities of Salies-de-Béarn Salt. These beneficial qualities are found in the spring water, as well as the concentrated muds left after the salt is extracted: these are called mother liquors. The quality of these mother liquors has built the reputation of the thermal establishments in the town.